Thumbnails are the invitation door to the new visitors. Decorate it like a pro to pretend the party going on inside. YouTube Video Thumbnails are surely the invitation triggers for the people who may watch your videos. Viewers on YouTube have like many choices most of the time, until you are known personality, to watch specific videos. Well, if your video thumbnail is not attractive your work inside the video is going to be fruitless and the tendency of people opting for other videos will gradually drag your video down on the graph, resulting in a trash. However, you can promote your videos to get some exposure. But, to be precise, you can’t get targeted visitors this way. So, we have now come to point that, apart from quality video, we have to focus on invitation triggers like a catchy title and an attractive thumbnail. Take your video as a wedding ceremony and invitation card as your title and thumbnail. Now, you have done a lot of decoration for the ceremony and all types of facilities and accommodations are there. You send the invitations card to all your friends, family, neighbours and relatives. However, you had expected that 2500 people will come on the date of the ceremony. Although, only 500 – 600 people reached the ceremony due to less attractive or simple invitation card. Well, it was just for the understanding as to how thumbnails can change the game. So, from the next time when you upload videos don’t make a hurry and spend some time to make a creative and stunning thumbnail for your video. 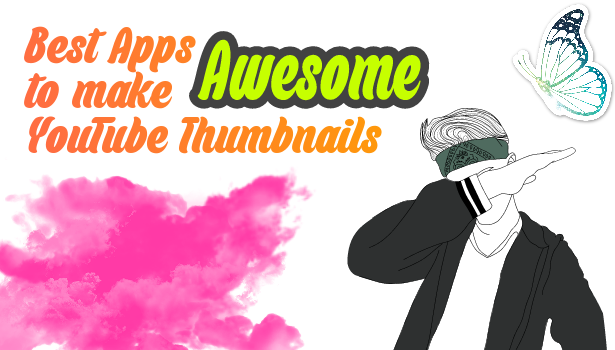 Let’s continue with best applications to make awesome youtube thumbnails. 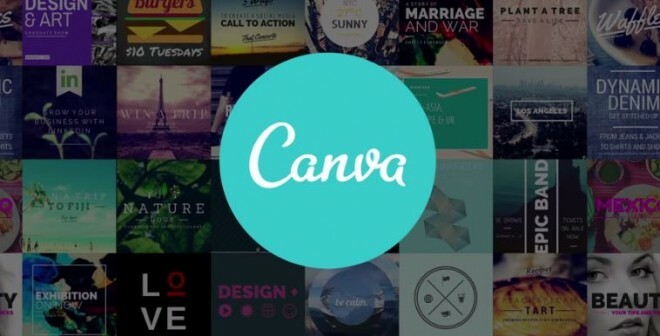 For designing purpose, Canva is a well-known website and application. Thousands of templates available in their library makes your task really easier. 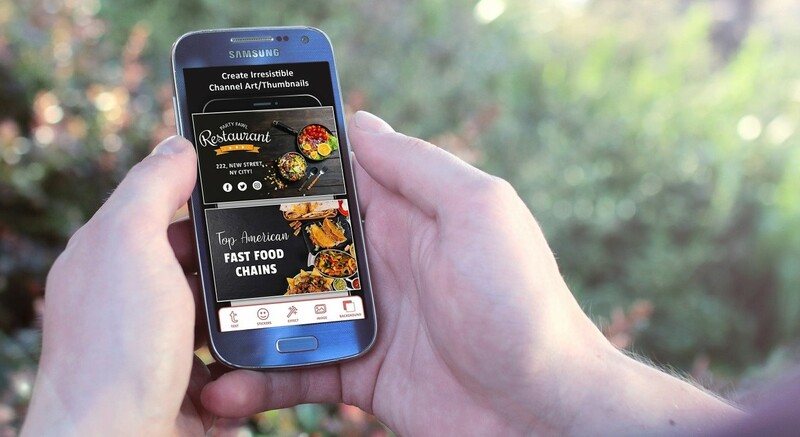 However, apart from templates, you can make your custom template with the tools they provide online and on their app. Canva has many YouTube templates, that you can easily edit and make one for your own video. You can also save your designs to use for further images. Developed by Simply Entertaining, Thumbnail maker application is really an amazing application that gives exclusive immersive experience while creating thumbnails for YouTube Videos. The best thing about this app is that you can make thumbnails really quickly. There are many free background images, patterns and textures that you can use for decent thumbnails. You can also use desygner for making beautiful and attractive thumbnails for your youtube videos. Actually, desygner does have amazing templates for like all the categories including social media logos, banners, posts, covers and what not. Using desygner is not a big deal. Who doesn’t know about PicsArt? 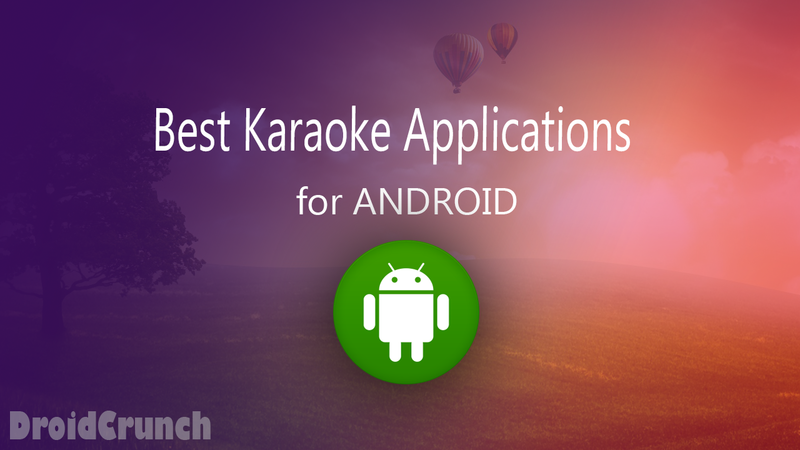 Undoubtedly, PicsArt is the best photo editing application for Android. You can create really impressive images with PicsArt in minutes. You can use PicsArt for making cool Youtube Video Thumbnails right from your mobo device. With PicsArt you can create magical and really stunning images. There are plenty of videos tutorials available on YouTube for editing amazing images via PicsArt. When it comes to images designing in Android, PixelLab is one of my favourites. Its clean interface and feature full utility attract me to use it more and more. PixelLab offers best editing environment. When combined with Picsart and Background Removal App, you have best editing apps on your mobo. You can make 3D logos, attractive Covers, YouTube Thumbnails with the app with an ease. You can also save your projects and import them next time for editing similar images. Even, you can erase the background, add images, create shapes and add stickers. Hope you enjoyed this article and you might have known about some or all of these applications. But the best use of these applications makes your creation really wonderful. Also, avoid over decoration, else, your viewer will take you as a noob. Edit with clear idea and perfection and see the world following you.